Custom packaging isn't an expense to be minimized — it's an investment in your brand. Packaging that appeals to consumers emotionally can boost the value of a brand and increase customer desire for a product. Individual design elements can create positive associations that customers carry with them, helping them to fall in love with a product — or to shy away from it. Making an emotional connection with customers through packaging improves customer experience and loyalty. It benefits the overall marketing strategy and can help increase ROI. Take a look at what's involved in designing custom packaging that will enhance the customer experience and bring them back for more. Traditionally, prospective customers first came face-to-face with a product's packaging when they saw the product on the shelf. In the digital age, however, a customer is now more likely to first come in contact with packaging in a virtual environment as they research potential purchases online. This means packaging must appeal visually on a screen as well as tactilely and visually in person. As you plan your packaging design, you must also think about which elements you want to stand out visually in a thumbnail photo. Shopping online allows you to engage with consumers via multiple channels, and the packaging needs to stand out in all of them. Of course, online customers will come into personal, tactile contact with packaging once they've received a package. This second contact point creates an opportunity to further enhance the customer experience, and in turn drive customer loyalty and retention. Package redesign generates a 5.5 percent increase in sales over existing package designs. Traditionally, packaging was designed with cost and efficiency as primary factors. Now, however, digital print technology makes it possible to incorporate marketing considerations into packaging design as a primary focus. When packaging is attractive, eye-catching, and functional, customers express their appreciation by buying the product packaged inside and becoming repeat customers. To create stylish and functional packaging like this, start by thinking about customer needs. The core fundamental of any marketing campaign is the need a product serves. Next, it’s important to determine where the packaging elements and design fit along the customer journey. It may seem obvious packaging is part of the conversion stage, but have you considered the others? For example, incorporating the proper information on a package can help a customer shopping in-store during the consideration phase. Once a customer unboxes their package, are there support elements, such as directions, included? Remember every aspect of the packaging and what’s inside are part of the customer journey and will influence whether or not they become loyal customers or advocates of your brand. We can’t talk about the customer journey without mentioning personalization. An effective personalized marketing campaign can have a powerful effect on customer experience. Thanks to new technologies, we can’t ignore this when talking about packaging. Take the example of Amara, a London-based home fashion brick-and-mortar boutique that transformed itself into a growing online powerhouse in part through its use of personalization. This took the form not only of personalized emails, but also digitally personalized package inserts with unique offers that provide an extra thrill for customers as they unbox their purchases. The results? A 50 percent growth in sales from their first-time buyers campaign, supporting their customer retention efforts. One of the emerging ways to engage your audience with packaging design is to leverage your customer data. Digital print technology allows a level of personalization that's new and fresh in the packaging industry. Take into account the customer data you currently have available, as well as what you may want to start collecting. This will help you determine the type of personalization that’s possible for your brand. Personalized marketing on packaging can be achieved in a number of ways, such as utilizing geographic information to incorporate loyalty program information and coupons. If you realize a campaign isn’t working as expected, quick turnarounds made possible by new print technology let you rework your launch calendars while remaining nimble enough to change up packaging design and marketing strategy. Consider as well where a product will be sold in brick-and-mortar stores. For example, you might want a bold, attention-grabbing design for use in a marketplace where speed is of the essence, such as a convenience store or mall snack bar. In a shopping environment that moves with a slower pace, the packaging might change to accommodate customers who want to inspect each package and learn information from it. The next step is to consider how packaging can complement or enhance the product as it meets the customer's needs. One great example is the 12-can soft drink box. That soft drink box proves itself to be an excellent design because it allows the customer to carry large numbers of awkwardly shaped cans and to access them quickly. Not only does the packaging include a pop-in handle for easy carrying of what would otherwise be a cumbersome product, it also serves a separate function thanks to the diagonal tear-off section that allows easy access to cans in the fridge. All the while, the outside of the package declares the name of the brand in bold graphics. Customers view packaging as an extension of the product and their customer experience. This means customers will form opinions about a product and make purchasing decisions in-part based on their opinion of the packaging. All the effort spent on custom packaging have been delivering a positive ROI for years, with brands and logos often increasing in value as they age (Just think of the Golden Arches, or the Nike swoosh). 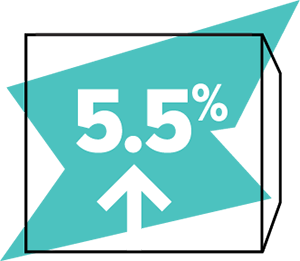 Numbers bear this out, showing package redesign generates a 5.5 percent increase in sales over existing package designs. Through custom packaging design, your brand can achieve a level of personalized marketing that speaks directly to potential customers, increasing engagement and customer loyalty.